Gone are those days when sales reps used to carry traditional catalogs and curriculum to promote products and share it with your customer. Enterprises can harness the power of mobile to enable promote company products in the most effective way and help sales team sell more than ever. 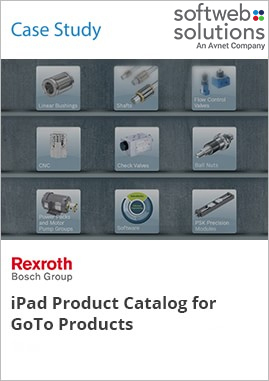 Softweb Solutions developed an iPad app for Bosch Rexroth- one of the world’s leading specialists in the field of drive and control technologies. The iPad app not only works as an online Catalog but also equips the vendors with a feature-rich digital archive tool for seamless order process.